Sometimes I would spend half an hour until an hour plus just to wait for my hawker food to be served on my table. Is it worth the time waiting? Well, as Penangites, somehow we have the in-built food detector in us. We can sense that whenever there is a large queue in any of the hawker stalls or restaurants, the food served there must be real good. We would willingly and patiently wait for our turns. 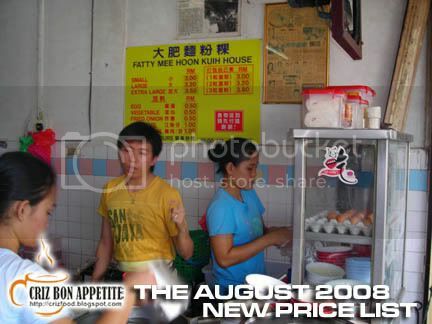 One such stall which I visited recently was the famous Taman Berkeley Fatty Mee Hoon Kuih stall. 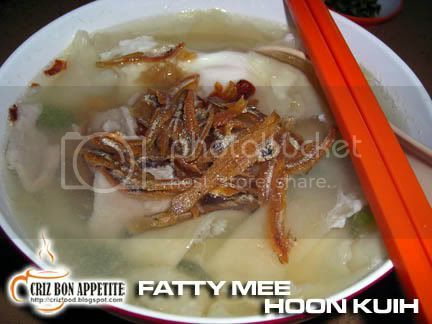 The Mee Hoon Kuih was actually another version of Pan Mee. The dough (Mee Hoon) came as a ball. Before cooking, it would be flattened using both hands (instead of rolling through a mini machine as in Pan Mee) and then peeled into a pot of boiling water to cook. The cooked dough would then be mixed into a pot of soup stock with slices of pork and Chinese cabbage (choy sum). It would then be garnished with fried anchovies (ikan bilis) and fried onions. 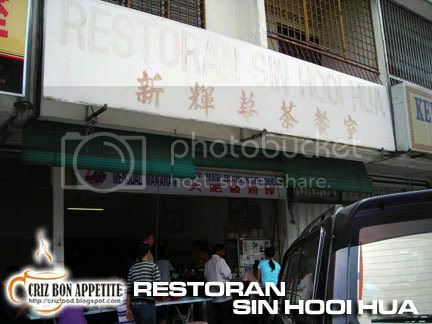 This shop has been getting a lot of publicity from overseas as well as local food reviewers such as Ho Chak! You can see lots of advertisements and write-ups from various magazines stuck on the walls. To know how good it is as advertised, you have to try it out yourself. To some, this dish is good. To others, it’s only normal and nothing spectacular. The only difference is that they will allow you to add in fried lard to enhance the taste. What the pricing then? Did all the publicity affect their pricing? Well, no. I ordered the bowl shown above and paid only RM3.50. It was RM3.00 for the normal bowl of noodle plus an additional 50sen for the egg. Not expensive right? Here is the latest price list as displayed on their wall. They can even pack for you the dough and ingredients separately to allow you to cook at home. Don’t you think this is a wonderful service as you can cook the dish and eat whenever you feel like it? Everything will cost you only RM3.00 a set. If you are driving from Klang towards Bandar Baru Klang, drive into Jalan Batu Tiga, then Persiaran Sultan Ibrahim. Use the Federal Highway and turn left into Persiaran Rajawali. Drive on until you reach the fourth junction on your right. That is Lebuh Bangau. After two junctions, you will see the fully packed restaurant somewhere towards the end of a row of shoplots. 19, Lebuh Bangau, Taman Berkeley, 41150 Klang, Selangor, Malaysia. 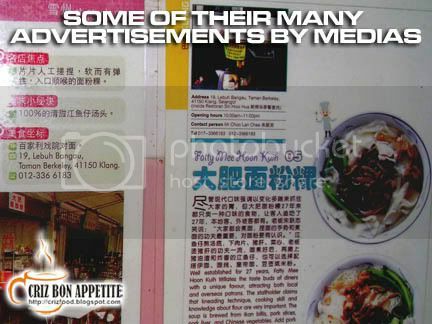 went there some time ago, but didnt try them, as not really a fan of pan mee. but my Klang fren said the mee hoon kueh nothing special woh. but will give this a try. Aiyo! 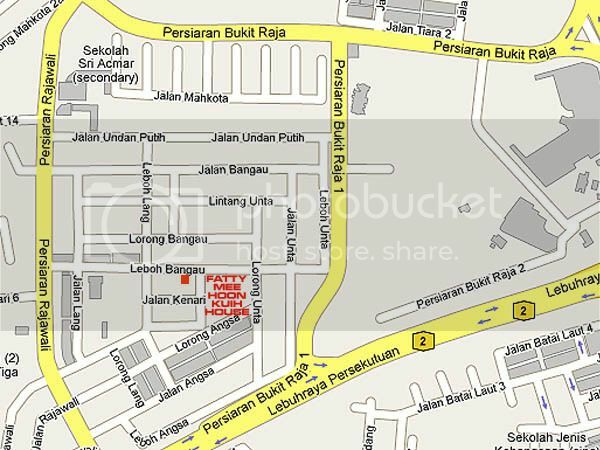 Why the shop is located at KL. Sad..
r u staying in Klg?